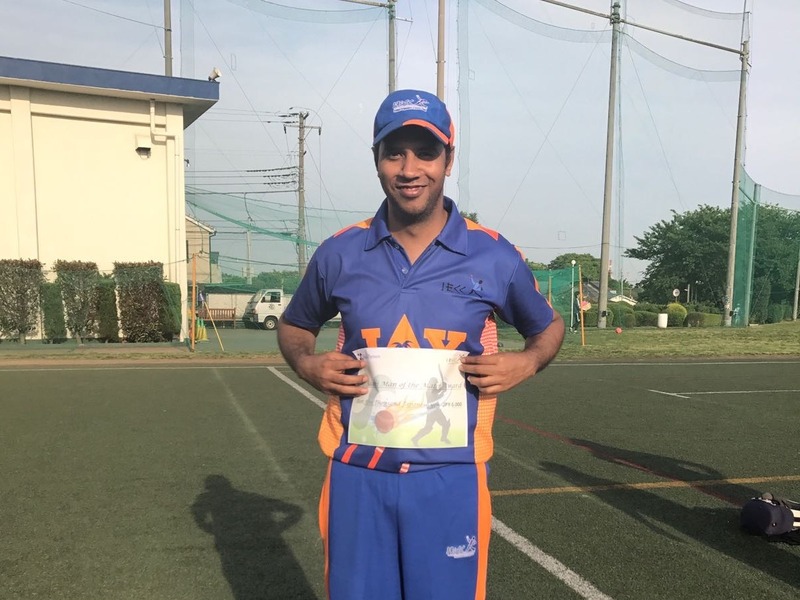 The Japanese season kicked off with friendly matches last month as clubs started preparing for various tournaments ahead of them. Rusty and lazy over winter months, except those who love snow sports, players took advantage of the warm weather in March to get back into the grove and some light exercises. One team even underwent a name change, probably not wanting to limit themselves to a small town. Ichihara Sharks, based in the Ichihara city of Chiba prefecture changed their name to Chiba Sharks. Their new homepage is accessible at http://www.chibasharks.com. Another team, Al Karam, who were rumored to be considering a name change a few months ago, apparently decided continue with the old name. 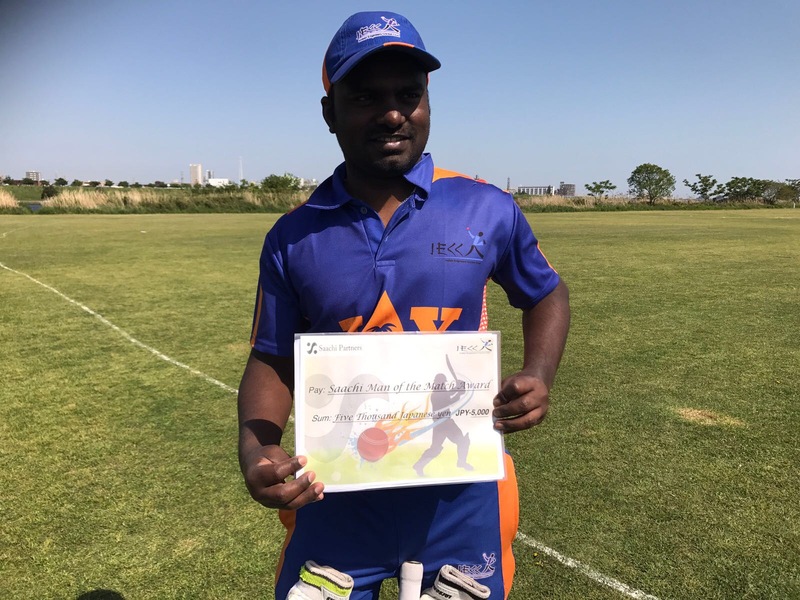 The KCL matches took off in the last week of March with Al Karam defeating Gunma and defending champions Tokyo Giants bulldozing Lalazar. Alkaram: 197/10 in 36.2 overs. Gunma: 158/9 in 35.3 overs. The species has to continue even if produces mad people. The priority is perfectly fine! the direction of the hits. Taylor’s mother was from Samoa. Comment: Some of our readers may recall that this Newsletter had run an article on Kilikit in our 43rd issue, http://www.ieccjapan.com/newsletter/newsletter43.htm, which was later used by Wikipidea as a reference. Niranjan Shah, who was India’s tour manager for the one-day series in New Zealand recently was labelled as a ‘travelling goon’ in the New Zealand media for the veiled threat he issued just before he left New Zealand against using anyone (and more likely Craig McMillan) who has something to do with ICL doing commentary in the India-New Zealand series. Comment: Hard to disgree with the label. Umpire Steve Bucknor claimed that the BCCI used its financial might to sack him from the Perth Test in 2008.”I have survived for a long time. Had it not been for strong-willed people within the ICC, I might have been out due to negative reactions from certain quarters”, Bucknor said. “So, I was expecting these things to happen because on earth … there are some people who are more equal than others. Because they are more equal, they seem to have more say. And what they say, especially influenced by money, they seem to have their way. So, I’m not too surprised”, he said. Australia’s latest batting sensation, opener Phil Hughes, prefers to be called Phillip rather than Phil in print. According to the Sydney Morning Herald, this seemed a bizarre request, given Hughes is unshaven, a fan of shorts and thongs, the son of a banana farmer, vertically challenged, and a country bumpkin to the bone. Hitting out at authorities for using cheerleaders in the cricket field to “seduce” crowds, a prominent Hindu political party leader said that the sanctity of cricket has been lost as the promoters have turned the field into a dance bar. “I am a lover of good sports and music. It is the secret of my cheerfulness. I have a special affinity towards cricket. But till now only cricket was played in the field. However, now things are changing with the bringing of cheergirls to seduce the crowd,” Shiv Sena chief Bal Thackeray said. But now one does not know whether people are coming to watch the cricket or to see the cheergirls, he said adding it has degenerated cricket. Thackeray also questioned Maharashtra government’s reluctance to stop, the “naked dance” when farmers in parts of Maharashtra were committing suicides. Sachin Tendulkar is a god to millions of Indians who worship this sport but now his fans apparently have plans to turn him into a real Hindu god. Some of his fans in Delhi have hired artists to create icons of Tendulkar as the Hindu monkey god Hanuman but this Tendulkar god will be holding an MRF bat instead of the mace. The IPL is not just a money spinner for sponsors, players and franchises but also for Government which earned a whooping Rupees 910 million (US$20m) as income tax from first edition of the Twenty20 cricket tournament. The revenue was received by the Central Board of Direct Taxes (CBDT) after it categorised the tournament under the ‘professional services’ in 2008. Disgraced former Indian cricket captain Mohammed Azharuddin is rumoured to be standing for election in the upcoming parliamentary elections in India as a candidate of ruling Congress party. The reactions from the public were mixed with one calling him a thug and a man who disgraced cricket. Bruised and shaken by the terror attack in Pakistan, Sri Lankan cricketers are breathing easy after undergoing yoga and meditation taught by Indian spiritual guru Sri Sri Ravi Shankar. Kumar Sangakkara, the dynamic and optimistic new captain of the Sri Lankan cricket team, said that he felt relaxed and calm after just two sessions of the “Sudarshan Kriya” breathing. It was “a really pleasant experience”, the sports ministry quoted him as saying. “The Sri Lankan cricketers have now found a new direction to be relaxed, calm and still be dynamic and alert,” the ministry said. Vice Captain Muttiah Muralitharan said he felt “a new calmness” after learning the breathing technique, which Ravi Shankar’s Art of Living has taught to millions around the world. South African batsman Ashwell Prince was furious when he was told that his No. 5 position was taken by A. B. de Villiers and Prince will be asked to open the innings against the Aussies. Prince, who was appointed as captain, for the 3rd Test wanted to review the decision but Cricket South Africa quikly put an end to the problem by replacing Prince with Jacques Kallis as captain. The reason for his objection is rumoured to be that one of the openers will be dropped when actual captain Graeme Smith returns and in case Prince failed to score and the debutant Imraan Khan scored runs, Price would have to wait. Comment: Prince scored 150 in the 1st innings. That is determination for you. chapter in Nepal. John Wood, the founder of Room to Read and Pushkar Shresta, the Country Director for Nepal will be attending the event. 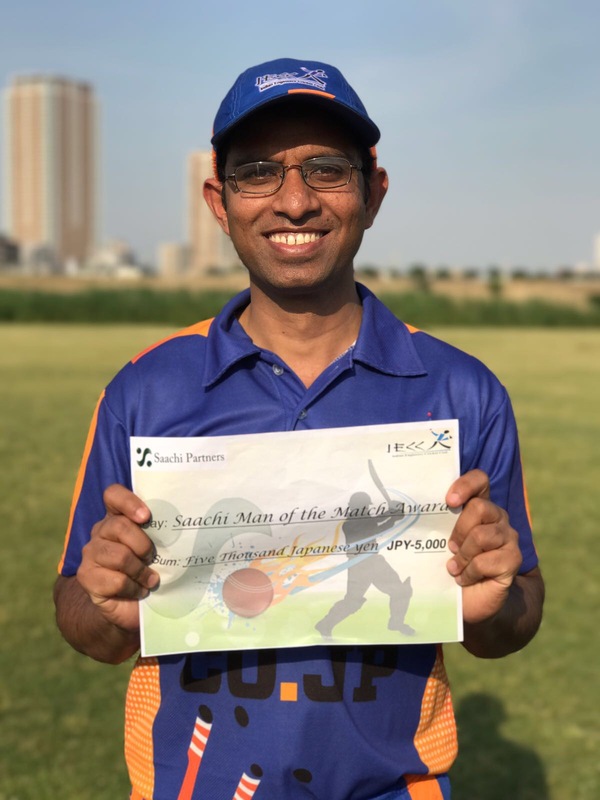 You may recall that the the Indian Engineers cricket club became a sponsor of “Beers for Books”, a casual networking event that helps raise money for Room to Read. The idea behind the concept is a regular social networking event which will be held in a bar/restaurant in a casual setting. For every drink you order, the bar/restaurant will donate 100yen to Room to Read. One beer = 100yen = 1 local language book for a child in a developing country where Room to Read operates (Nepal, India, Cambodia, Sri Lanka, Zambia). So all you have to do is to drink a beer! We encourage our readers to attend the events to help promote literacy and education in developing countries. We will be publishing the event details in this Newsletter as well as on our website regularly. They hold coaching camps for junior groups, social cricket games, and the ground is complete with white picket fence and club pavilion with Don Bradman signed bats and so much memorabilia. It is a cricket lovers dream. Contact me at Gretchen.McQueen@lion-nathan.com.au. Can Australia reclaim its top spot any time soon? 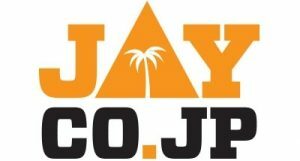 Do you think the new T-20 in Japan that carries JPY100,000 as the prize a good idea? are now throwing themselves face first into the deep end to host the IPL. Read here. “I love playing cricket in India, particularly one-day cricket. I’ll miss the crowd.” The 1.5 million dollar baby Andrew Flintoff on IPL being shifted out of India this year. 1. Ranjith Singhji, after whom India’s top domestic competition, Ranji Trophy, is named, lost his right eye in a hunting accident in 1914. 2. Sunil Gavaskar’s only Test wicket was that of Pakista’s Zaheer Abbas when Abbas was dismissed on 96.